I don't like this room its too dark, is a two person audio play. The characters, Sam and Darling, seem to drift in and out of conversation, sometimes appearing to be debating or discussing with each other, at other times they have little connection with what the other is saying. In a Beckett-like cycle, the play is looped causing the characters to be eternally caught within the structure of the play. 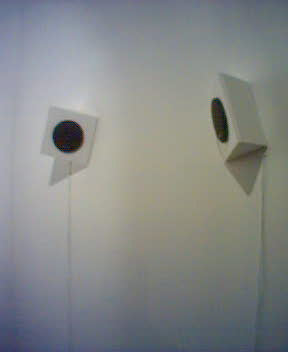 The script was written based on overheard snippets of conversation and comments of visitors to Tate Modern, and was presented in 2004 at 1,000,000 mph project space.